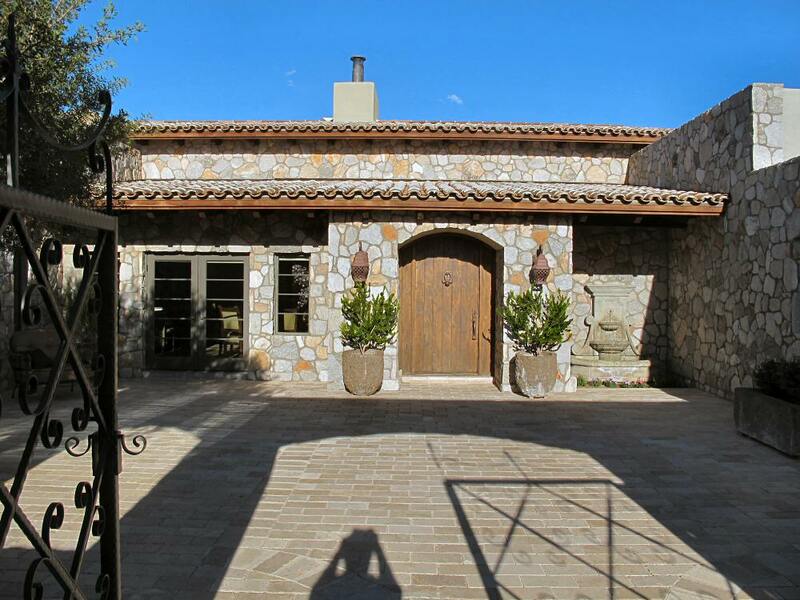 The new Tuscany style entry I designed and built transformed a bland facade into a grand entrance. 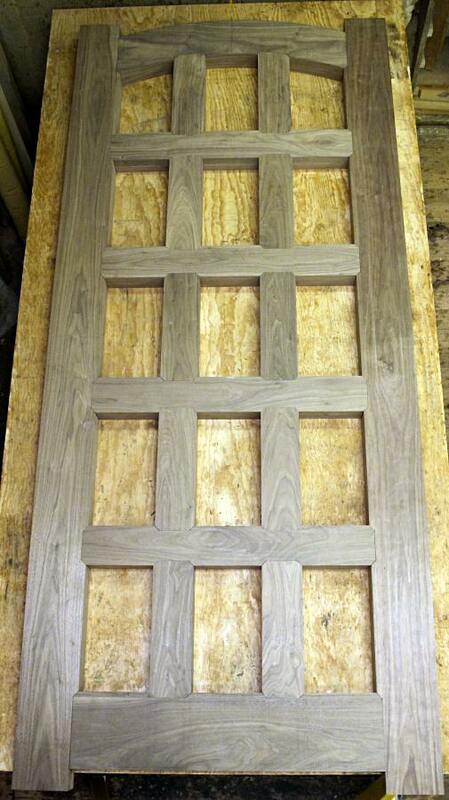 The solid walnut door is 2-1/2" thick with engineered panels that will never split. The sidelites include custom antique Italian style leaded glass by Ochoa Stained Glass, 1" Solarban 60 insulated glass and hand forged wrought iron grills. 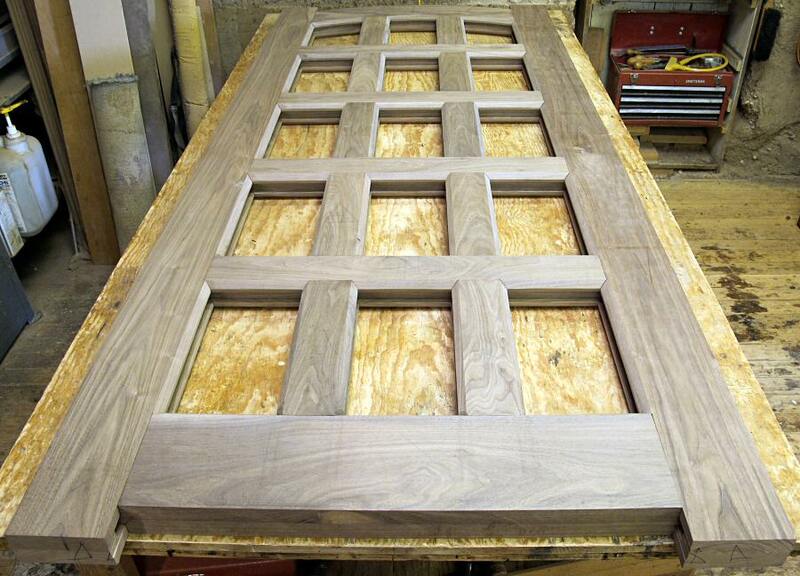 The entry handle is by Hardware Renaissance, the hinges are by Rocky Mountain Hardware. 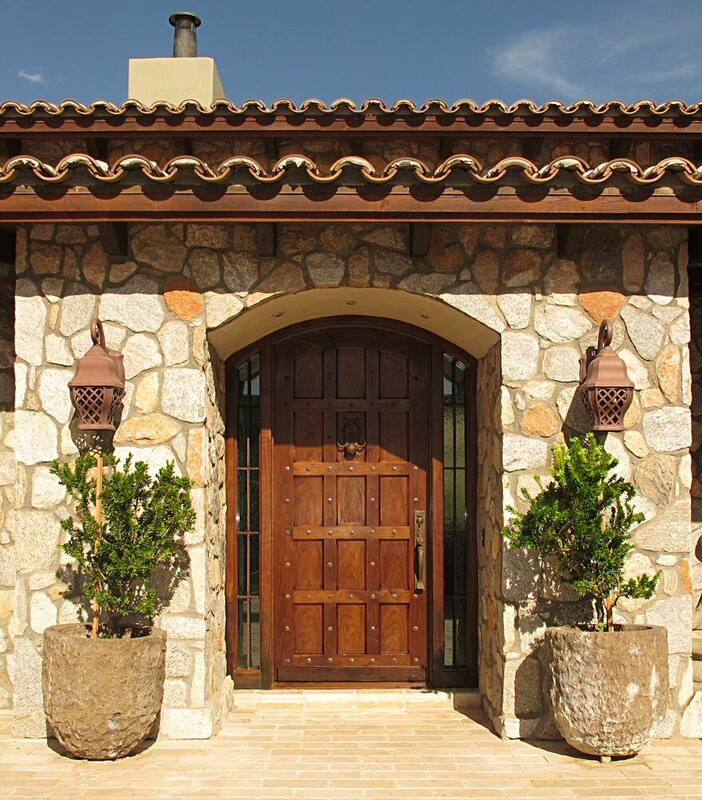 The entire entry is aged and distressed and blends in perfectly with the rustic elegance of this massive Italian style stone house. 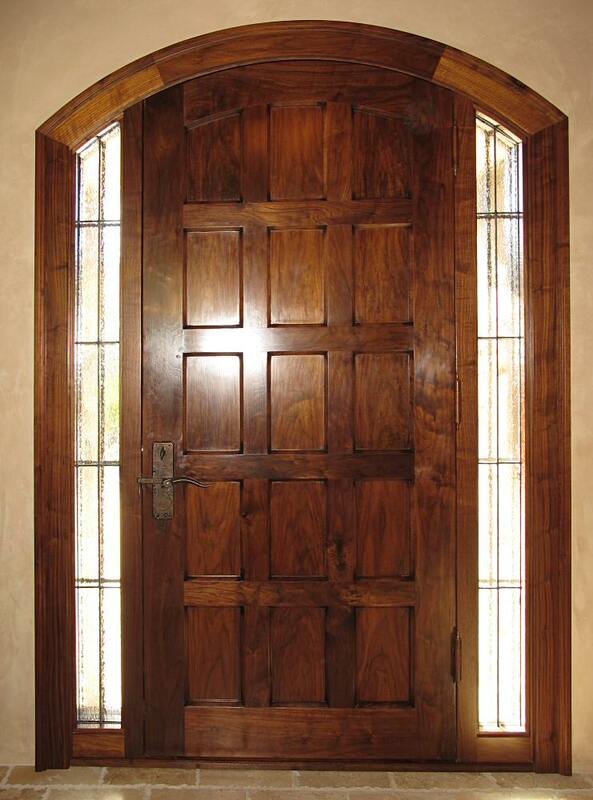 Before - The original entry had a very plain alder door with solid wood sidelites which made the entry foyer very dark. After - The new entry lets light into the foyer while the antique Italian style textured glass maintains privacy. 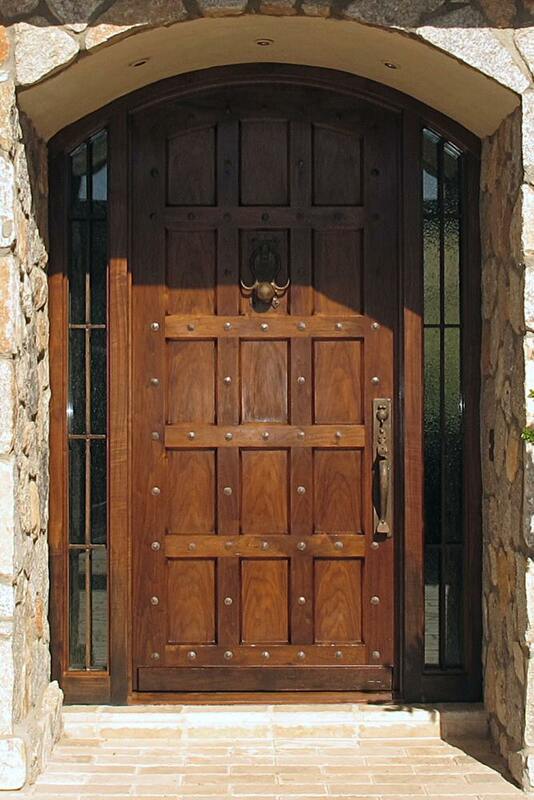 The wrought iron grills have a rust finish to match the entry handle and door knocker and really pull the design together. 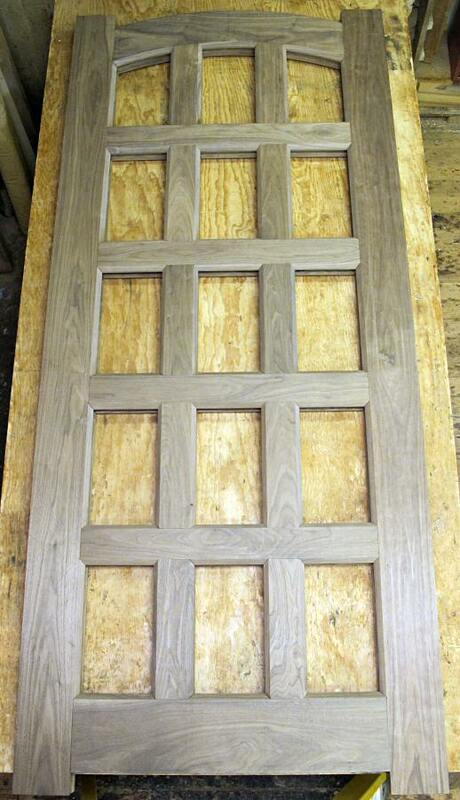 The interior has 4-1/4" wide built up casing framing the door and textured glass. 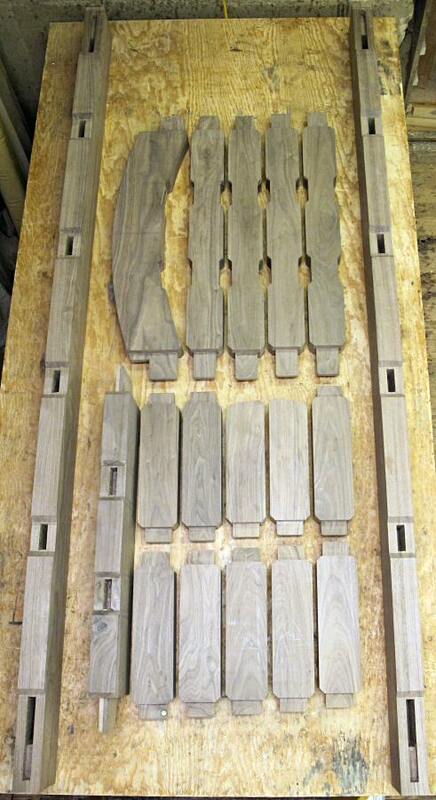 The 5x5 Rocky Mountain Hardware hinges with steeple tips visually balance the forged lever and strike-bar latch. 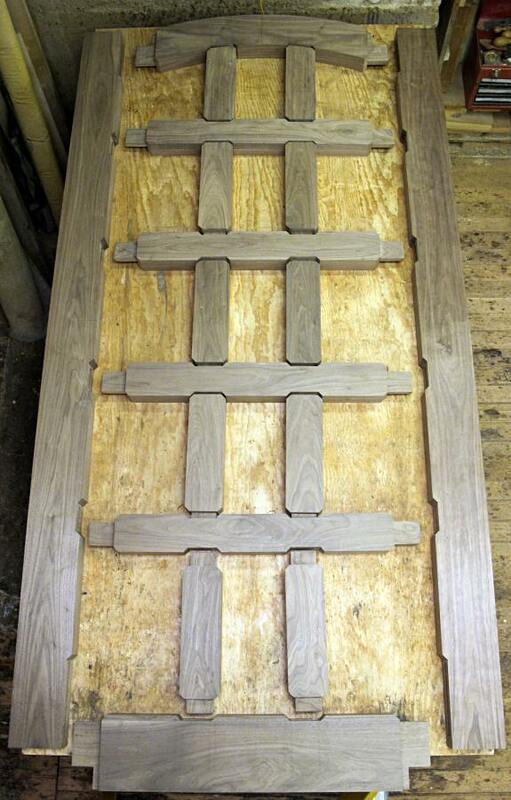 The door and jamb is constructed using the same type of mortise and tenon joinery traditionally used for hundreds of years. The first dry fit assembly - perfect!